In recent years, the technology of home security (such as home surveillance systems, wireless doorbells, doorbell intercoms, and more) has continued to advance by leaps and bounds. What would have been deemed as science fiction just a few short years ago is now becoming more widely available than ever before. 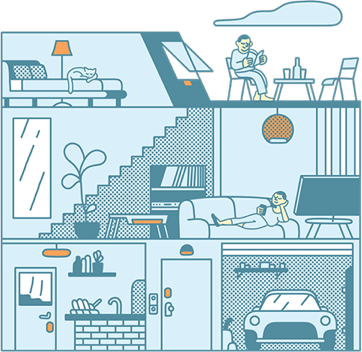 Since 1999, Vivint has been leading the home security industry and paving the way for more personalized, innovative, and smart solutions for protecting your home and family. Staying true to purpose, Vivint now offers one of the world’s smartest doorbell cameras, which can be used with your home’s surveillance system or as a stand-alone product. Every wireless doorbell, doorbell intercom, Wi-Fi doorbell, and smart doorbell is designed differently, depending on the home security manufacturer’s preferences. Vivint’s Doorbell Camera has been specially designed to offer the best and most efficient functionality, without the hassle and glitches that are typically associated with smart doorbells. The main benefit offered by Vivint’s Doorbell Camera is the ability to see who is at your door without opening or even approaching your front door, also known as LIVE Browsing. 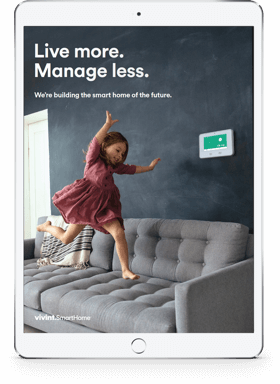 The Wi-Fi camera doorbell utilizes Vivint’s secure technology and your home’s Wi-Fi signal to send streaming video to the SkyControl 2.0 panel, your smartphone, your online account, and other mobile devices via the custom security app. Unlike most home security cameras, the smart camera doorbell functions as a two-way intercom system. This allows you to speak and interact with visitors on your doorstep without ever having to open the door. This is a great feature for anyone; whether you’re at home or away, you can still see and interact with whoever is visiting through the custom app, and even unlock the door for them. When the Doorbell Camera is used in conjunction with the Vivint Electronic Door Lock, you can unlock your front door remotely using the camera view on your control panel or mobile app. This means you can unlock your front door to visitors from anywhere, whether you’re at home or on the go. 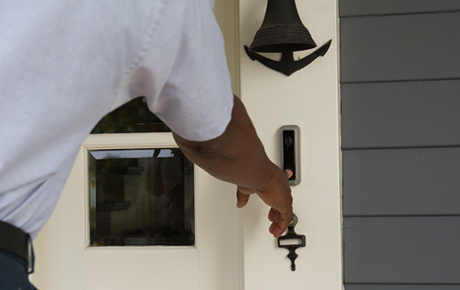 Vivint’s Doorbell Camera is equipped with both motion and facial detection technology that allows it to notify you anytime someone is on your doorstep, whether they have rung the doorbell or not. Anytime the sensors detect a visitor, the video clip is recorded and you are notified. You can also customize your front door’s detection settings and notifications to fit your needs. Among its many features, the camera doorbell from Vivint offers more customization options than any other wireless doorbell device. 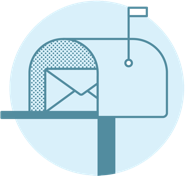 From simply changing the doorbell chime to adjusting visitor detection settings and notifications, you can completely customize your doorbell to fit your needs. Can’t find the answers you need? Contact us now for immediate support!